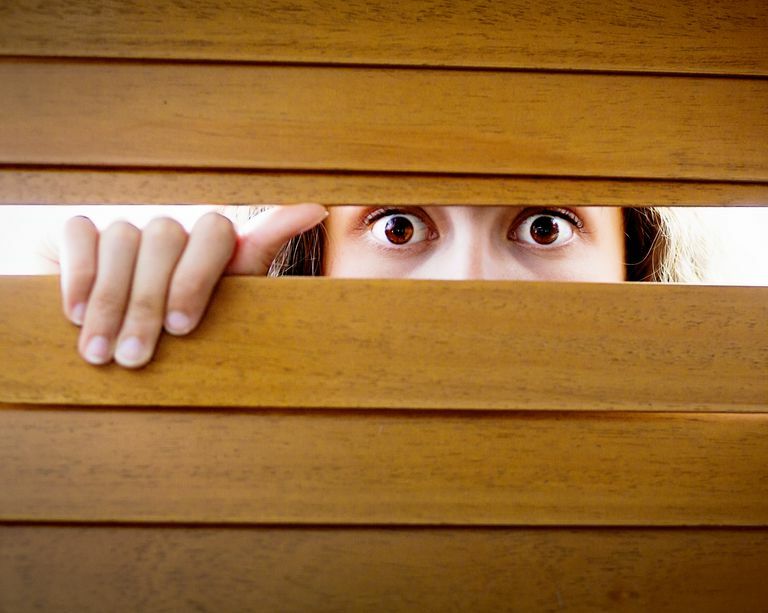 What Should You do if Your Teen Sneaks Out of the House? At one time or another, most teens are faced with an invitation to sneak out of the house with their friends. But nothing good happens when a group of teenagers get together after midnight. As the parent of a teen, it’s your job to protect your child from the dangerous things that could occur if he sneaks out of the house. But you can't always prevent it from happening. If you catch your teen sneaking out (or sneaking back in) enforce consequences that will deter him from doing it again. There are several things you can do to reduce the chances your teen will climb out his window (or walk out the front door) in the middle of the night. One of the simplest but most effective ways you can do that is by talking to your teen about the dangers ahead of time. Make it clear to your teen that sneaking out in the middle of the night isn’t just a harmless prank—it can lead to serious trouble. Explain the consequences you'll apply if your teen sneaks out. Acknowledge the temptation, however. Say something like, "Your friends might invite you to get together in the middle of the night and I know that sounds like fun. But, it's a poor choice." Talk about peer pressure. Whether his friends want him to go to a party, or they simply insist they’re going to ‘hang out’ at dawn, give your teen the tools he needs to resist peer pressure. Discuss the risks involved in sneaking out. Teens tend to think they’re immune to bad things happening to them. Point out specific safety issues in your neighborhood. Share crime statistics and talk about all the bad things that could happen in the middle of the night. Emphasize that your role is to keep your teen safe. Executive functioning in the human brain, which regulates our ability to make good decisions, isn’t fully developed until the mid-20s. Make it clear to your teen that your rules are meant to help him make good decisions in the meantime. Don’t allow your teen to sleep with electronics in his bedroom. Take away your teen’s smartphone, laptop and other electronics before bedtime and keep them in a secure location. If your teen isn’t able to receive a message from his friends in the middle of the night, he’ll be far less likely to sneak out. Grounding your teen from social activities for a specified period of time. Restricting your teen’s privileges, such as taking away electronics. Adding additional responsibilities, like extra chores to your teen’s to-do list. Make it clear that lying and sneaking out breaks your trust. And you'll be less likely to grant him permission to do activities in the future if you can't trust that he's going to tell the truth and be where he says he is. The hours you expect your teen to be at home. Establish a curfew for school days and non-school days. The negative consequences for breaking the contract. If your teen misses curfew or sneaks out in the middle of the night, outline the consequences he can expect. The positive consequences for following the contract. If you caught your teen sneaking out once, it makes sense to create an earlier curfew for a while. If your teen is able to abide by the contract for a specified period of time—perhaps one month—agree to make the curfew 30 minutes later. Be willing to listen to your teen’s opinion about the contract. Talk about his concerns and give him an opportunity to ask questions. Gain your teen’s signature on the contract to ensure he understands the parameters. If your teen sneaks out of the house after you’ve established a contract, take more serious steps to keep him safe. Get an alarm for your teen’s room. You can purchase an alarm that will go off when your teen exits his bedroom at night. Hang bells on the door. If you’re a light sleeper, an alternative to an alarm is to hang a bell on the door that can’t be easily removed. Secure the windows. If your teen sneaks out a window, get an alarm for the window. Although it may be tempting to nail the window shut, doing so could prevent your teen from escaping if there were a fire. American Academy of Child & Adolescent Psychiatry: Children and Lying.